if not THE best selling. A prominent recording engineer recently wagered that there probably was not a top 40 record made in the last five years that didn’t have at least one Distressor on it. 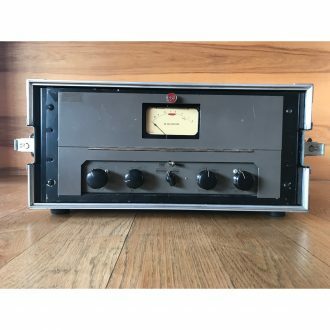 Besides providing a wide range of control and a unique feature set, the Distressor offers a warm, vintage sound by using a custom designed gain control circuit. 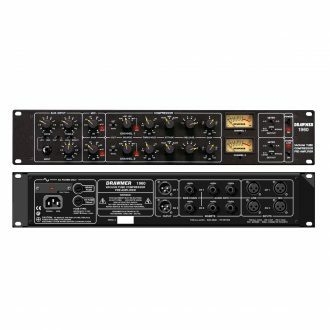 This “warmth” or “vintage sound” has become a major issue in the last few decades, as the super clear and linear digital technology does next to nothing to soften “harsh” sounds, nor emphasize the bass frequencies in music sources. 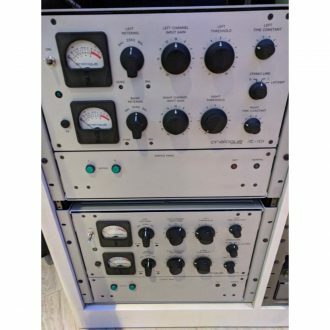 Conversely, older analog tape, vinyl records and tube equipment could not be prevented from coloring the sound, often to the frustration of recording engineers. However, many people now realize that this coloring can be extremely pleasant and musical. Digital technology is often referred to as “cold” and “brittle” among other terms (although we prefer “unforgiving”). All eight of the Distressor’s curves are unique and distinctive, from the 1:1 mode that simply warms up signal with low order harmonics without intentional compression, to the “Nuke” setting – a brick wall limiting curve that shines on live drum room mics. Each curve has its own personality and several actually use different circuitry, and are effectively different compressors. Most exceptional is the 10:1 “Opto” ratio which uses separate detector circuitry to emulate the oldest (and valued) “light controlled” devices, such as the LA-2A. Another large part of the Distressor’s personality and power derive from three modes that color the signal, even without compression. These extended audio modes were designed to allow emulation of some very old and expensive vintage compressors & limiters, and let the Distressor deliver a classic “knee” sound all its own by providing user programmable, warm harmonic distortion. In addition to the basic distortion mode, Distort 2 emphasizes tube-like 2nd order harmonics, while in Distort 3 setting the distortion becomes dominated by 3rd harmonics more closely resembling tape. Two HP filters – one in the audio path, one in the detector path – are also available to help with low frequencies that can cause pumping and breathing. The Distressor is available in either its original form (EL8), or in a modified version (EL8-X) with two additional functions – British Mode, and Image Link. 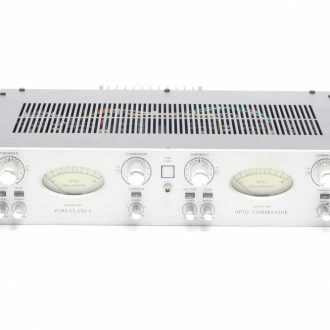 The concept of British Mode came from an unusual setting on the classic UREI LN1176 limiter. The unit was designed to have only four ratios, each ratio being engaged by selecting one of four buttons. 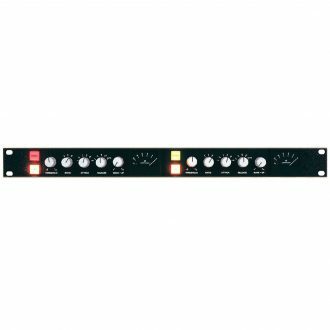 However, as early as 1980 (or before), renegade recording engineers, always on the lookout for something a little more “over-the-top”, found that you could make all four buttons stay in if you pressed them just right. What resulted was a very aggressive sound that had some elements of the unit’s 20:1 ratio, but with an unusual knee and new envelope shape. Somewhere along the line, someone called it “British Mode”, and the name stuck. The EL8-X has the advantage of being able to selectively apply this aggressive characteristic – not just to the new “British” ratio (1:1) – to any of the ratios, simply by engaging the dedicated “British Mode” switch. The original Distressor stereo link function used a summing and phase detection method, which allowed slight stereo image shifting. 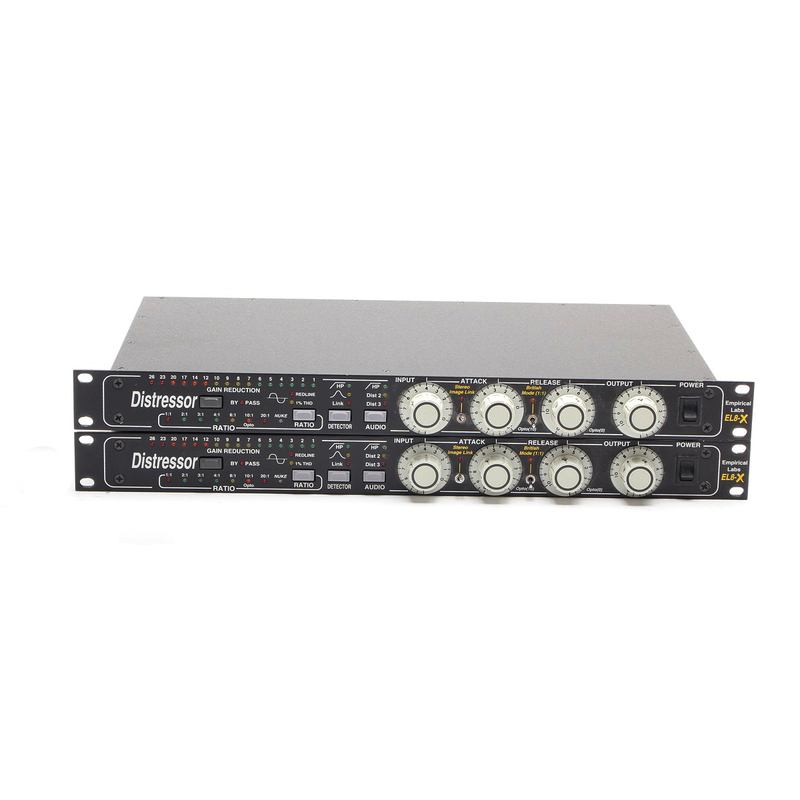 Although frequently desirable for its phase correction, and its “thickening” on open room mics and other stereo sources, this approach can sometimes be a problem on stereo program material where the producer/engineers want to maintain absolute left/right balance at all times. 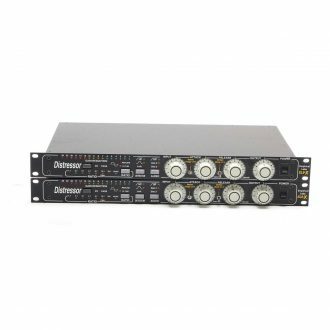 With the new “Stereo Image Link” option, the EL8-X now has three link options – the original “phase” link, the new Image Link and the combination of the two, phase and image linking – something never before offered on any compressors or limiters. For many Distressor owners, one is never enough – in fact, one extremely successful engineer has twelve of them! For those who want (at least) a stereo pair, ELI offers the EL8-S, a pair of Distressors that are matched at the factory, and come with the cables you need to lock them together. If you want the Brit Mod and Image Link options, an EL8X-S package is also available. • Freq. response is 2 Hz to 160 kHz in clean audio mode (+0, -3 dB). Response is shaped in distortion modes (Dist 2, Dist 3). 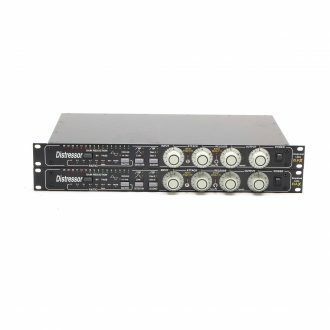 • Dynamic range 110 dB from max. output to min. output in 1:1 mode. 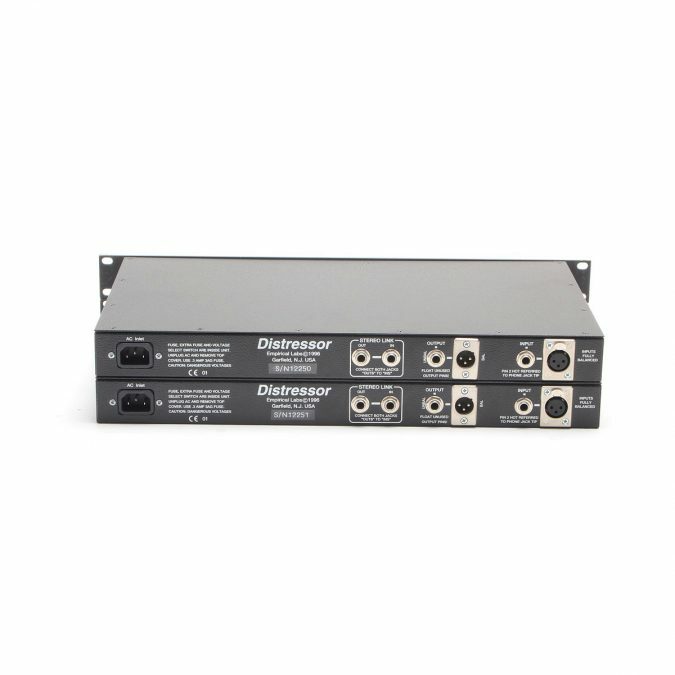 Greater than 100 dB signal to noise in distort 3 mode. • Distortion ranges between .02% and 20% depending on distortion mode and release times set on front panel. 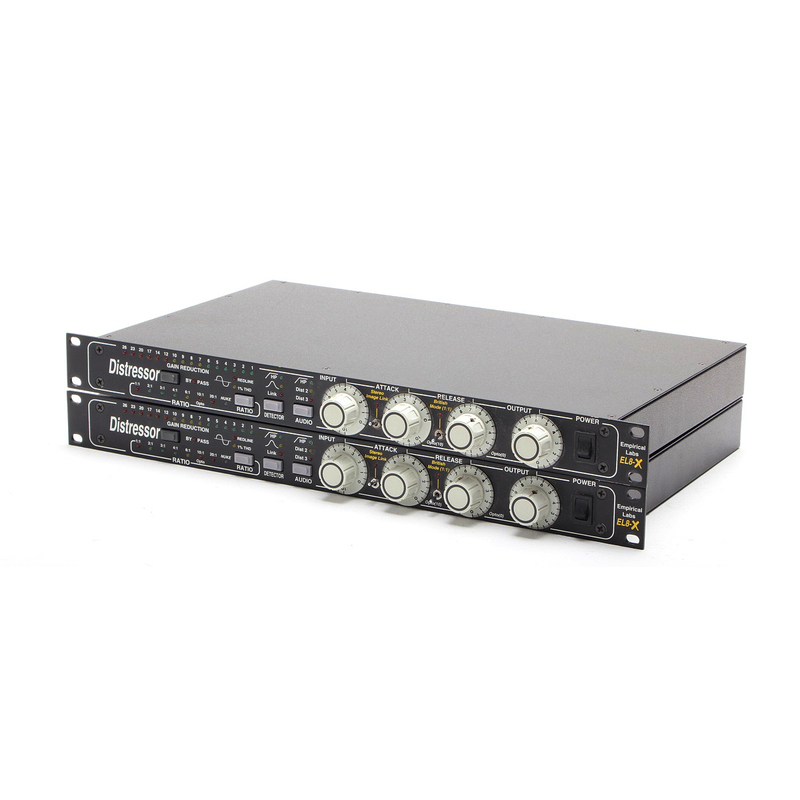 • DC coupled output – High quality input caps. • Time constants – Attack range 50uS – 50mS. 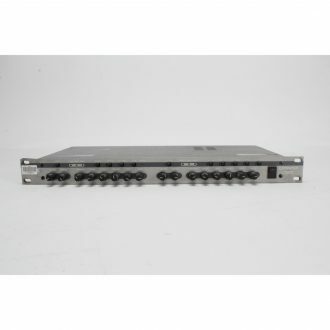 Release range .05 sec to 3.5 seconds, normal modes and up to 20 seconds in 10:1 opto mode. Time constants are dependant on ratio. • Metal Chassis – single height 1.75″ high, 10″ deep, 19″ wide. • Shipping info – 12.1 lbs mono, 24.2 lbs Stereo pair. Mono box dimensions 22.5″ x 18.5″ x 3 1/4″.